He is now the youngest Indian to score Test century on debut. After a horrendous run in the Test series in England, where the much-celebrated Indian batting order collapsed like a house of cards in front of an inexperienced English bowling attack, a change in the team’s top order was inevitable. India have tried quite a few combinations at the opening order in the last one year, but none of them seemed to have worked when they stepped outside the sub-continent. In the quest for fresh legs, who could give solidity to the Indian batting at the start of an innings, the selectors along with the team management did not have to look too hard. With young and skilled players, like Prithvi Shaw and Hanuma Vihari, scoring big runs consistently at the domestic circuit, it was only a matter of time the selector would take notice at the young talents. While Vihari already got a taste of international outing in England, in which he showed a lot of resilience, character and temperament in his 56 off 136 balls innings against the home team, Shaw’s debut Test, against a rather novice West Indies bowling attack, was free-flowing, classy and filled with positive stroke play. During the course of his 134 off 154 runs innings, he never looked under pressure or overwhelmed by the occasion. On the contrary, he seemed assured and ready for the challenge. His air self-confidence, which reflected in his batting right through the time he spent at the wicket, could be a result of his brilliant run he has had at the domestic cricket in the last couple of years, or his time with Rahul Dravid at the India A and U-19 levels, or his stint at the IPL in 2018, or a combination of all these factors. His innings of 134 proved, among other things, he is up for the job at the international level. For a teenager, debuting for India in a Test match is never easy. The opportunity always comes with a lot of media glare, which can lead to undue pressure for the debutant. However, as it turned out, Shaw went in with no such baggage; he looked calm, poised and completely in control of his batting, scoring at a strike rate of almost a hundred when he reached his maiden Test century, thus becoming the youngest Indian to do so on debut. Besides, he is now the third-fastest centurion on Test debut. India's Shikhar Dhawan holds the record for the fastest in this club with 85 balls hundred against Australia in 2013 in Mohali. And, West Indian, Dwayne Smith (93 deliveries) pulled off the same feat against South Africa in Cape Town in 2004. Additionally, with this century, Shaw has etched his name alongside the legends like Sourav Ganguly, Virender Sehwag, Mohammad Azharuddin and Lala Amarnath who kicked off their Test career with a century in their debut Tests. 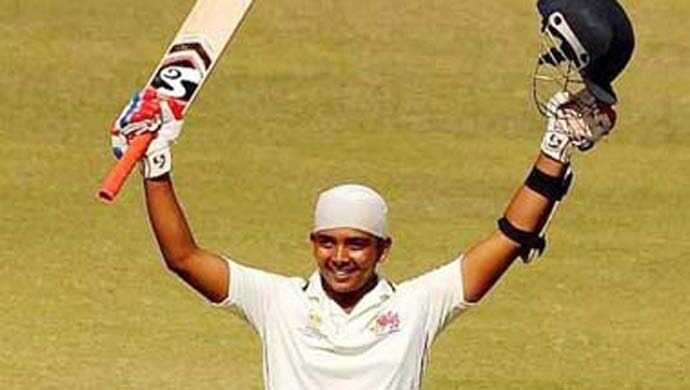 As a player who bats at the top of the order, Prithvi Shaw’s fluent and fearless approach to the game is a treat to any cricket fan around the world. His cricketing records at the first-class level speak volumes about his tremendous talent as a batsman. 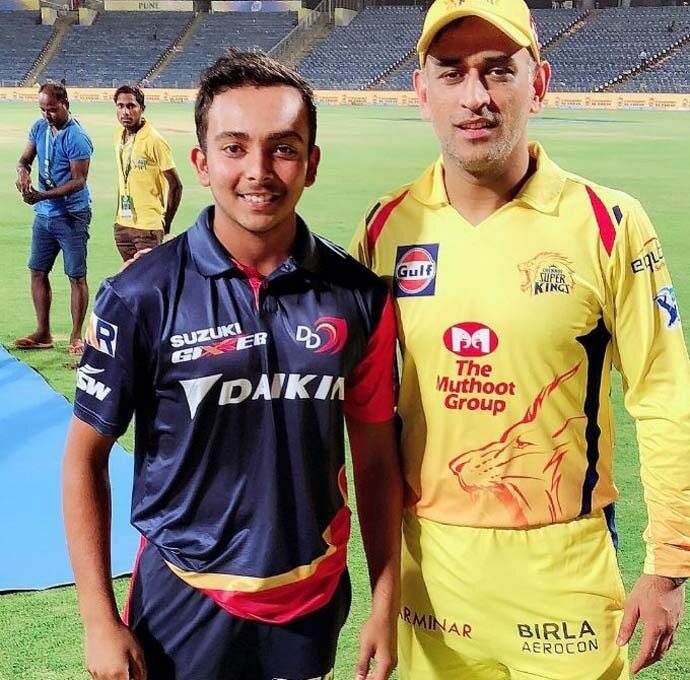 His first claim to fame as a 14-year-old was when he scored 546 runs of 330 balls, an innings with 5 sixes and 85 fours, for his school, Rizvi Springfield, in a Harris Shield match in Mumbai, in 2013. A few years later, in 2016, he became a part of the India U-19 squad that lifted the youth Asia Cup in Sri Lanka. Couple of months later, he debuted in Ranji Trophy for Mumbai. In his first match, against Tamil Nadu in a semi-final, he scored a second-innings century and guided his team to victory. The very next year, in 2017, he scored a century on his Duleep Trophy debut, a record which was previously held by Sachin Tendulkar. His formidable footwork, stellar stroke-play and immaculate consistency earned him the captaincy for India’s U-19 World Cup 2018, which the team eventually won defeating Australia. The debut Test hundred against West Indies will boost his confidence ahead of the big tour Down Under. Though the conditions in Australia will be drastically different — with pace, bounce and some chin music — but big runs in international matches can always help to lift a player’s morale. The teenager from Maharashtra has skill and temperament to play at the highest level. However, whether he can reinvent, evolve and adapt his game according to the demands of the times, will decide his future in the Indian team. He is young and has a long way to go before he can be called an icon. And if he can stay fit and handle the success well, he will certainly go there and win a lot of laurels for India in the days to come. Until such time, we should give him the space he deserves and let him enjoy his game. In the present day, when cricket is highly tech-driven and analysts around the world work relentlessly to find out a batsman’s weak spot, Shaw will have his work cut out. Challenges will come his way as he goes along — bowlers will trouble him, he will struggle, he will fall — they are all part and parcel of international cricket. However, a champion player is one who continuously strives for brilliance and finds a way to improve and counter all challenges thrown at them. Good thing for Prithvi, though, is that he has a captain in form of Virat Kohli who leads by example and is himself a role model for people seeking excellence.